6201 Princess Elizabeth, 5M51, Carnforth, Thurs 14 March 2019 - 1147. Setting off on a test run to Hellifield and back. The coach was 80217. 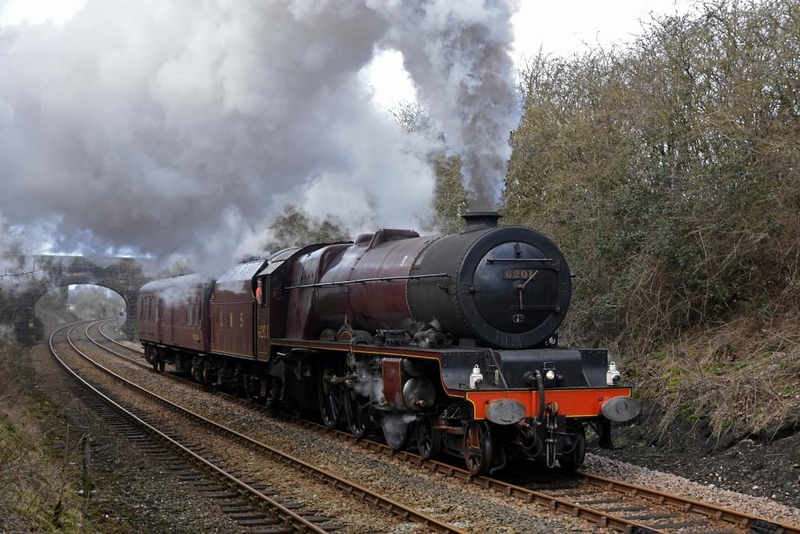 Lizzie is expected to take part in the Torbay Express season this summer. It worked a lightly loaded test train round the Hellifield - Preston circuit on 28 March.